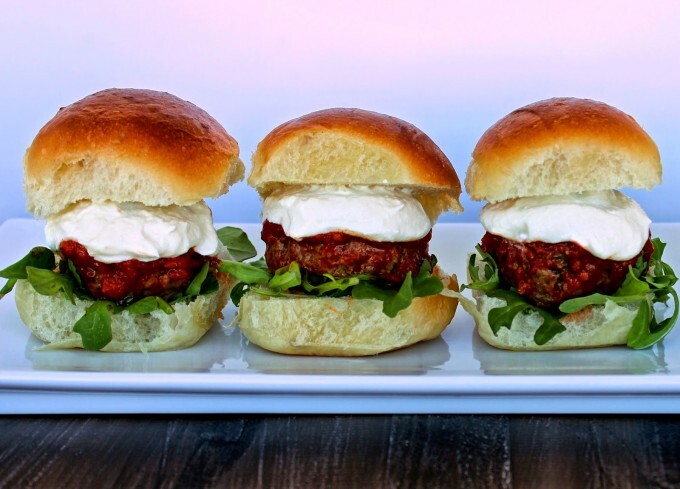 A couple of months ago, Laura from Real Mom Kitchen and I hosted a blogger recipe contest for the National Beef Council in search of the best easy entertaining recipes with beef. The winning recipe would be nutritious, simple (prepared in less than 30 minutes with a limited number of steps) and practical to serve to 8-10 people. Laura and I each chose two bloggers to compete in the showdown. My chosen bloggers were Alice D’Antonio Phillips from Ally’s Kitchen and Dr. Sonali Ruder from The Foodie Physician. I have known these two ladies since I began blogging in 2010 and we’ve been online friends ever since. Their recipe development skills are so impressive and I love the nutrition profile on the recipes they create. I knew that both of them would knock it out of the park with their dishes! Laura selected Jamie from Jamie Cooks It Up! and Heather from Heather Likes Food. They also did an amazing job with their recipes. We were in for a close race with this talented group of foodies! 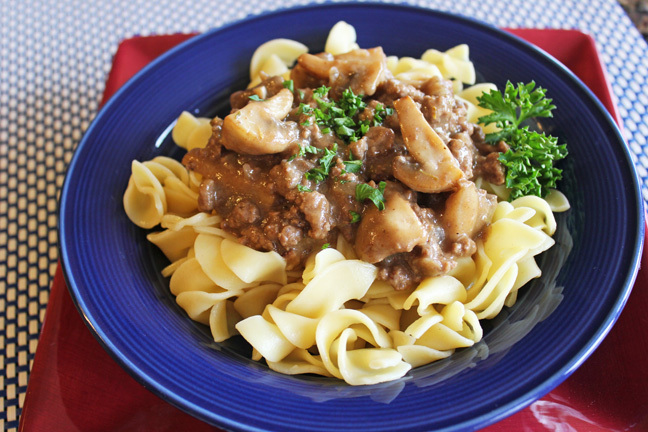 Lightened-Up Beef Stroganoff from Jamie Cooks It Up! The winner was selected by a panel of judges from the National Beef Council, which included chefs and registered dietitians. They based their selection on taste, presentation, nutrition profile and ease of preparation. The recipe selected would go through the Beef Checkoff’s triple-testing process and featured on the BeefItsWhatsForDinner.com website. And the winning recipe is………. 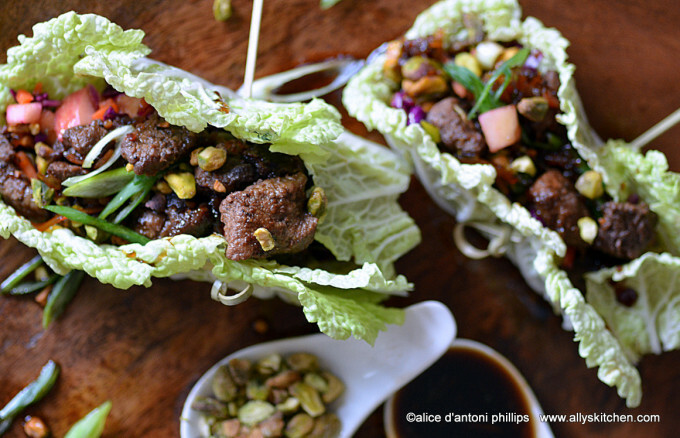 North African Spiced Beef Wraps with Crunchy Confetti Slaw from Ally’s Kitchen!!!! 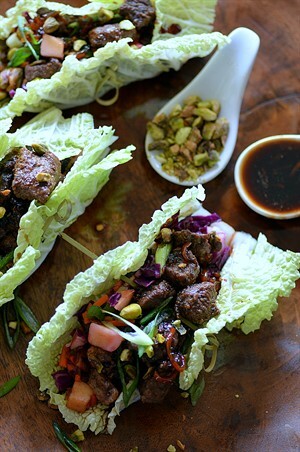 I love this exotic and healthy take on beef wraps, utilizing a unique spice blend from Africa. Ally always puts such a unique flair to her creations. Congratulations to Ally Phillips for winning the Easy Entertaining with beef challenge! I would like to applaud all of our contestants, everyone did a really amazing job on their dishes. Don’t forget to visit ALL of these lovely ladies and see what they’ve got cookin’! Beef is one of my favorite fast-cooking lean proteins, you just need to find your favorite cuts to use. 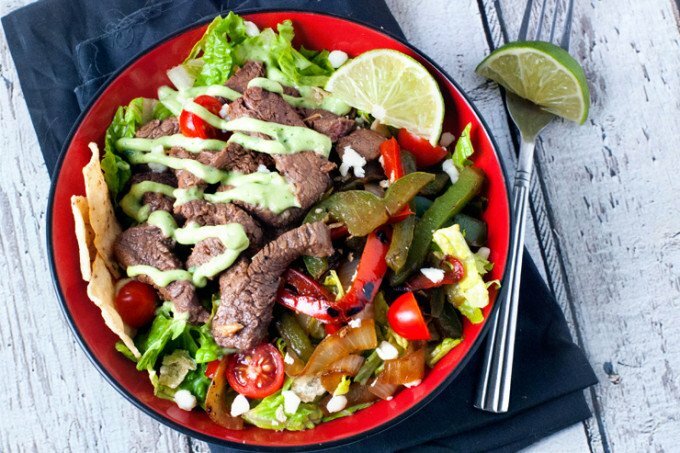 I often go for top sirloin for stir fry dishes and skillet meals, since it’s tender, affordable and extremely versatile. My other favorite choices for speedy and healthy meals are filet mignon, ribeye and New York strip. Head on over and visit BeefItsWhatsForDinner.com and check out all of their great recipes, cooking tips (the Interactive Butcher Counter is awesome for cooking tips and cut selections!) and sign-up for the, totally FREE, Protein Challenge to get your eating habits on track. It’s pretty cool, so be sure and check it out! Most of you that read my blog know that I am a fitness trainer. I’m a big advocate of eating more protein throughout the day. It’s something that I make a primary focus with my clients. You can join in on the fun, too! Focusing on protein intake, not counting calories and obsessing with the scale, is a good way to reduce cravings by feeling satiated. When you are eating an adequate amount of lean protein, you’ll have plenty of energy to make it through your day and, in my case, through my grueling workouts! You’re welcome, Ally! Amazing job on those wraps!! Mouthwatering! Thanks again for the opportunity to compete in this awesome challenge! I loved every minute of it and the other recipes all looked fabulous! You’re very welcome, Sonali! It was my pleasure! I loved your recipe!! WEll, dang how did I miss this — all the recipes look fantastic!